We’re brilliant at what we do, even if we do say so ourselves. But we’re not afraid to have a great time while we’re doing it. Come on in, join the fun. 23 years in the industry doesn’t lie, and it only takes one session with Billie to realise that. Razor sharp like the scissors in hand, the BJH boss knows how to make her customers look stunning and feel incredible through her distinct and inimitable skills in the salon. Born in Dublin, via London, and now Melbourne, Billie Jean came from humble beginnings learning the tricks of the trade in her hometown. Cutting her teeth—and the hair of the beautiful and bougy—at the infamous Charles Worthington Salon in the UK, Billie mastered the art of colour, cutting, styling and everything in between. X years later, she skipped the pond set up a brick and mortar salon of her own, Billie Jean Hair. Cutting with intuition and a generous splash of natural flare, It’s at Billie Jean Hair where our salon sovereign has truly been able to express her creative capabilities as a hairdresser – it’s why her customers keep coming back years after their first booking, after all. An expert at: Colour direction, bridal hair and calming those nerves before the big day. Our colour queen has been at it for a hot minute now, 20 years, in fact. Working with Billie for the past 12, Michelle keeps a watchful eye over BJH making sure whoever’s in the hot seat is comfortable and content with what’s happening in the mirror. She oversees colour, keeps the team and the bookings in line. Michelle not only shares her wisdom with the staff but the customer too, and that’s just one of the reasons why we couldn’t do without her. Services include: Ladies short hair, Styling, taper fades and impromptu French lessons. Son of a gun … well, son of an award-winning hairdresser, at least. Max’s career began almost before he spoke his first words (which are rumoured to be “short back and sides”). Born in France, trained in London and today residing in Melbourne, Max’s professional heritage means he’s across what’s trending locally and abroad. He’s our in house barber and all ‘round charmer, but he’s certainly not limited to cutting men’s. Book in with Max if you’re after a stylist with meticulous attention to detail and a unique outlook on our trade. Book in with Claire for: Colour change, balayage and hair related wisdom. We only work with the best, and sometimes that means sourcing our staff from the far corners of the globe. Coming from the cool and breezy Northern Ireland, Claire has come into Australia’s salon scene red hot with over 10 years experience. Formerly a hairdressing teacher, it’s only natural that Claire’s expertise is cut above the rest! With a progressive focus on colour, she’s an essential player to the BJH team, and to anyone who wants their balayage or colour change looking better than they ever thought it could. Professional globe-trotter and accomplished hairdresser, Natasha completed the highly regarded Varder Qualification then took it with her while she skipped countries for several years. Landing in Melbourne and checking in at BJH, Natasha’s international experience is proving popular with our clients. A legend with long hair styling and just as ambitious with shorter cuts, Natasha loves learning—and sharing her skills—with the team. Four years the wiser, Jessie has been with us since the beginning of her apprenticeship – although, we’re sure she’s learned so much more than we’ve taught her. Blow waves for days and a killer with colour, Jessie’s confidence in what she does keeps our customers (and the boss) ridiculously happy. A good apprentice loves hairdressing, a great apprentice loves learning, too. Shay ticks both of those boxes and then some. One year in, Shay’s keenness for styling is shining bright, as is her drive and initiative around the salon. Passion for your craft is one thing, having talent is another. Caitlyn has both. Not a year in, our newest member to the junior team is showing serious potential with her willingness to learn, and natural ability to do so, too. Watch this space while the rest of our team keep an eye on their jobs – Caitlyn is on the way up, and fast.  Billie Jean Hair is committed to tackling the hairy subject of sustainability in our industry. That’s why 95% of our waste is recycled through Sustainable Salons Australia – it makes us, and our customers, feel even better about walking through the salon’s doors.